Quote Of The Day: "Life doesn't have to be perfect to be beautiful"
If you follow me on Instagram, you will have already seen me post a picture of these products a little while ago, if not then you can follow my blog instagram by clicking HERE, i will happily follow you back aswell. I decided to treat myself to a couple of Yankee candles and two Barry M nail varnishes, I also purchased a Yankee candle holder which is currently sitting on the table downstairs in the frontroom with a melt in it, making the room smell lovely. 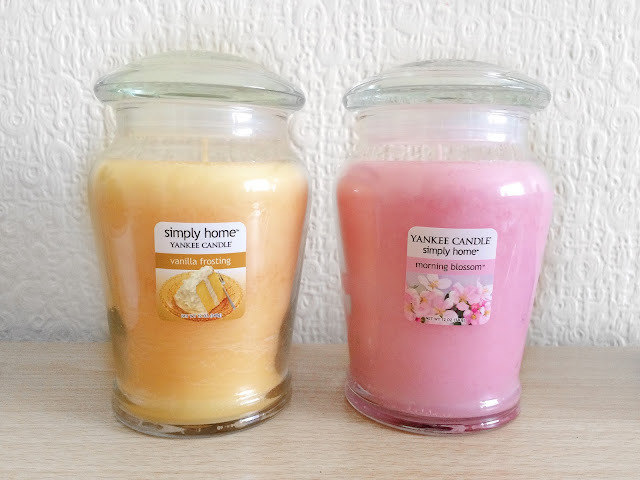 I absolutely love Yankee candles, the only thing i don't like is the price tag that comes with them haha, but as i was browsing the homeware bit in Tescos one day i noticed that all the big Yankee Candles were on special, they were £9.00 each or any 2 for £15.00. So of course i was gonna take advantage of this offer whilst it was on (I'm pretty sure this offer is on until the 8th August, but don't quote me on that). The Yankee candles i chose were "Vanilla Icing" and "Morning Blossom", these were my 2 favourite smells out of the Yankee candles that were in Tesco's. The "Vanilla Icing" one just basically smells of cakes...and who doesn't love that smell , this is the one that i have been burning the most so far and it leaves the room smelling lovely!. Next up is the "Morning Blossom" to me this smells of fresh flowers and everything summery, I have yet to start burning this one as don't want to many smells all at the same time as it kinda defeats the purpose of buying candles in different scents. Are there any Yankee Candles that you would recommend to me? Next up i went into the Superdrugs in Newport town centre, to have a look to see if there were doing any deals on there Barry M nail varnishes (can you tell that i like a bargain yet?! lol) and if i can remember rightly they were £3.99 each or any 2 for £6.00. I'm only just starting to build up my collection of Barry M nail varnishes as usually I'm a Nails Inc or Loreal kind of person. 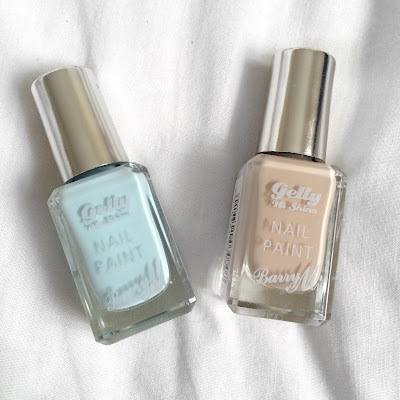 But i love the Gelly nail varnishes by Barry M although i do currently only have 4 so far! The ones that i chose on this particular visit were in the colours "Lychee" and "Huckleberry", i have been after the "Lychee" colour for ages but everytime i looked for it, it happened to be out of stock which is always the way when I'm looking for something lol. So when i saw it i immediately picked it up to purchase. The "Huckleberry" colour i think i just liked the look of, as its a really pale blue colour and I'm really into pale colours for nails at the moment. I could of easily stood in Superdrugs for ages that day just going through all the Barry M products, but then i would of ended up spending too much money and that wouldn't of been good haha. I will probably be the first to admit that i have a serious nail varnish problem, but hey when your a qualified nail technician, too many nail varnishes will never be enough (at least that's what i like to tell myself anyway). I am on a mission to get this Gift Set on the Barry M website for myself at some point, as personally i think it is worth the money, or maybe i should start hinting at it being a "Christmas present"! What are your favourite Barry M nail varnishes? Are there any specific colours that you would recommend that i add to my collection?